Punta Hicaco in the Miches region is the location of this true tropical paradise, a peninsula with 700m of pristine beachfront, clear blue water and a healthy coral reef just off shore. 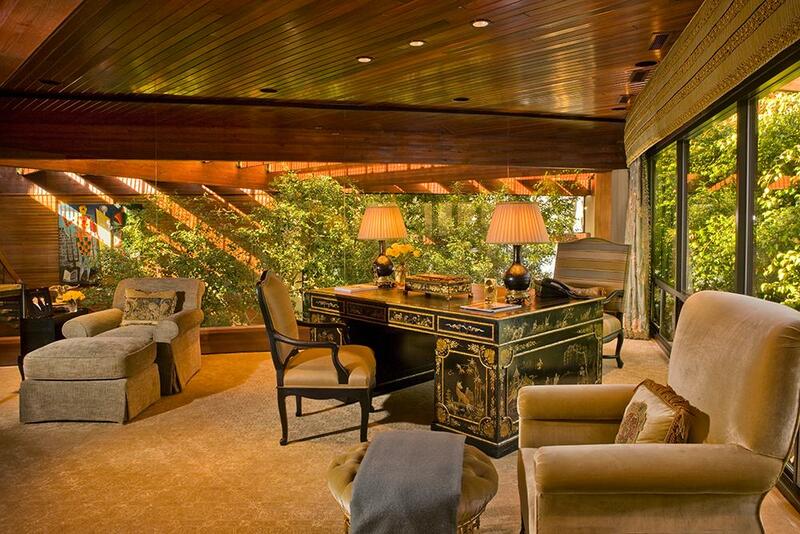 For sale via Christie’s International Real Estate. See more pictures and details about this property. The Shakespeare Ranch isn’t on the sea, but instead offers 200ft of waterfront on the beautiful Lake Tahoe, including the delightful wooden jetty you seen in this picture. The accommodation is spread over a main house and a string of guest cabins, totalling 35,000 sq ft.
For all that, our favourite bit is the ‘Entertainment Barn’ – what we’re calling the ultimate man cave, a historic barn built in 1873 that now holds a pool table and games machines including a golf simulator. Described as a ‘Balineses-style villa’ – well, we’ve been to Bali and we noticed nothing remotely on this scale. Set in almost three acres of this lovely Riviera town, the delights on offer include a gym, spa, wine cellar, dance studio and cinema room. For sale via Knight Frank International. See more pictures and details about this property. On Mexico’s west coast not far from Manzanillo this vast estate – over 2,700 acres – offers 10 miles of truly spectacular coastline. There are no buildings on the site and much of the land is protected from development, but you’ll be able to build on 10% of it to create what the agents describe as ‘new model of sustainable tourism and luxury living’. Johnny Carson once lived in this magical and secluded spot in Malibu, not far from Los Angeles, a glorious four-acre plot with magnificent Pacific views. The house itself includes one room with a 30ft-high glass ceiling that is a spectacular indoor arboretum. For sale via Luxury Portfolio. See more pictures and details about this property. Pumpkin Island might just be the ultimate private bolt-hole: your own 27-acre private island in the Florida Keys, yet just 10 minutes by helicopter from Miami’s South Beach (the house has a helipad, of course). Fresh water and electricity are piped across from onshore, removing one of the main worries of owning an island. At the moment, buildings include one main home with three bedrooms, two caretaker’s cottages, and a dock master’s apartment, but this spot could easily be devloped further – a plan is drafted that would include 12 homes. Islas Cayonetas is a remarkable opportunity described as the agents as a property that will ‘offer any buyer instant status as a global player on the world stage’. Located in the Caribbean Sea off the coast of Panama, the wealth of wildlife on these unspoilt specs on the map has been compared to the Galapagos Islands – the 50 beaches and 1,800 acres play host to everything from nesting turtles to unique species; the islands are on the radar of UNESCO as a spot earmarked for sensitive development to make sure conservation, science and tourism work hand-in-hand. The 85 acres of that this house, ‘Salutation’, was built on was originally sold for £200 by Peter Caverley in 1721, following a grant by George I. It will cost a little more this time around, as you’d expect of a truly stupendous private island that is less than an hour’s drive from Manhattan. The beautiful period-style Manor House is the centrepiece, but there are also five other homes on the island, plus stables, beaches, helipad and a dock. 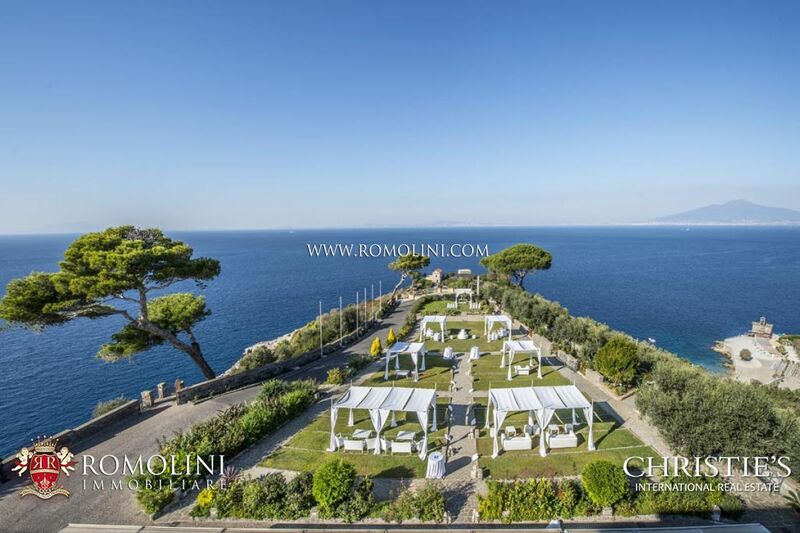 With panoramic views of the islands of the Gulf of Naples, Capri, Ischia and Procida, this 75-acre estate has a 16-bedroom villa at its centre. That’s just the start, however: there are over 30 other buildings on the land, many of which are ripe for development, plus a small vineyard and an olive grove. In Camps Bay near Cape Town this enormous (30,000+ sq ft) home boats such things as a whisky bar, wine cellar, a full-size snooker table with red baize and a 25m lap pool. There are eight bedrooms and 13 bathrooms, a garage that can hold 14 cars and majestic views of both the sea and the mountains.